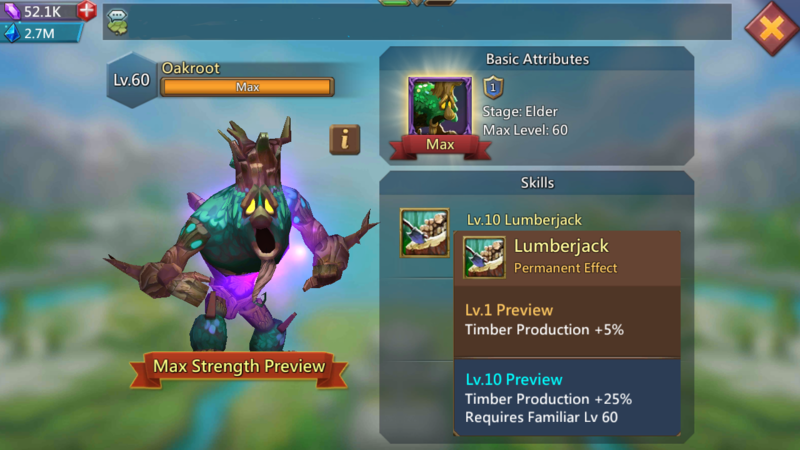 Lords Mobile: Hyper Farms Discussion. One of my first post here was about hyper farms. I do not intend to reproduce that article here just in order to create a "new" post. Over the last couple of days, something was brought to my attention by one of my guildmates and I thought it would be interesting to have a proper talk about it. That's why I would like to hear your opinions about it. Back in the old days (and when I say that it's when migration wasn't even a thing, kvk and guild fest didn't even exist in the game) there were no hyper farms. We would build our construction, get to c25 as fast as possible and attack and defend. We would just gather and do monster hunt, the usual stuff we do in-game. And a lot of guilds would just tile hit people either to increase their kills or to weaken other people castle. At that time, I thought that one of the best solutions was to become a self-sustainable turf. Meaning that you produce enough resources for yourself without the need of gathering and this mean protecting your troops from being hit by the enemy. This seft-sustainable built was possible with: 1 farm (as long as you have troops in your castle you will not be able to keep a positive upkeep), 5 manors, 5 lumber mill, 6 quarries and 6 mines. Wood, stone and ore production was around 15m in a day (more if you offload or help a guildmate). There were no familiars as well, so all the boost that comes from them didn't exist. Imagine how things would be now? We have more resource researches to do, so more boost to enhance your production. Now. 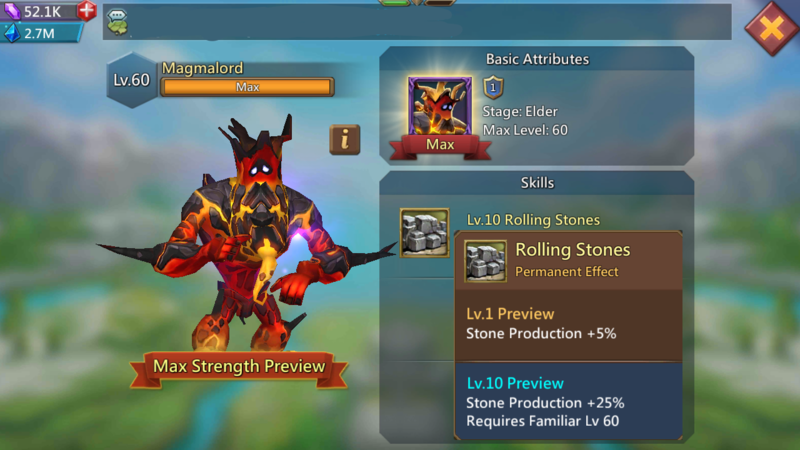 The question rouse by my guildmate was, why not become hyper in 2 resources only. At the moment being hyper in 1 resources is the norm (not talking of those that are gold and food hypers), but why not become hyper in 2 resources? I understand that some have all their building up to 25 and they spent a lot of time and effort and gems to be where they are. This doesn't mean, hey! let's change it all now! No, of course not. But hypothetically, what could possibly be the advantages or disadvantages of this new build. I'll use my alt as an example. It's a small account and there are still plenty of researches and construction to do. She is a gold hyper, but she is also a stone and ore one. How does this work? We all are familiar with the hyper gold farms (all manors to the current level of your castle, research must be at it's highest and Soul Forger should be gold) right? Now, initially it was an all stone production farm, but because my main is greedy and needs a lot of rss, I divided it's production by half (meaning I demolished 6 quarries) and built mines instead. It's a castle 21, and most builds are between lvl 17 and 20. Since I recently decided to change my build, Death Archer is COMMON: 7,5% boost production. Haven't unlocked Death Knight (stone) and Tracker (ore). 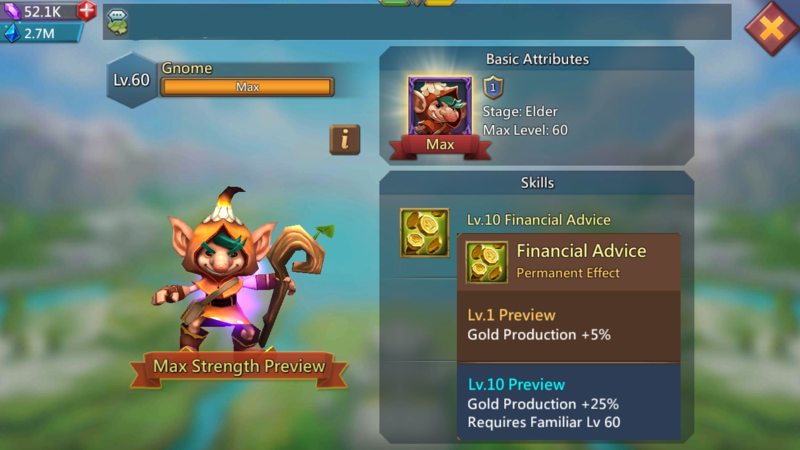 If buildings were up to max level ie 25 and heroes to gold grade, production would be around 18m to 20m in a day (maybe even more). Bear in mind that Ore is the hardest resource to produce compared to food, stone, and wood; it's also the most requested resources in the game, mainly for healing and training t4 troops. For example, 5500 t4 infantry and cavalry (and siege) needs 5,47m ore. So which building set up is more interesting: 1 rss hyper or 2 rss hyper? For the first case, you'll produce an average of 44m rss every 8 hrs or so (4,5m per hour) and in the second case, an average of 20m rss (1 to 1,5m per hour). This question was rouse in my guild since ore was the hardest rss to come across. We do have full ore hypers but it's not enough to fulfill the needs of the guild. Personally, I decided to go to 2 rss hyper in my alt account because I was terribly lacking on stone and ore. Having those 2 rss compensates in a way that I don't produce (since I'm a full wood hyper) and it avoids me, the need of having a third account (1 hyper of each rss). So what are your thoughts about it? What would you recommend and why? I would love to read your comments and discuss it. Previous Previous post: [Topic] How Will You Rule a Kingdom if You Were an Overlord? Next Next post: [Topic] Which Hero Can You Relate To?